The Mountain Brook Art Association Art show features more than 75 local artists, including Joan Curtis, above, selling hand-painted ornaments and paintings of all sizes and prices. Photos special to the Journal. 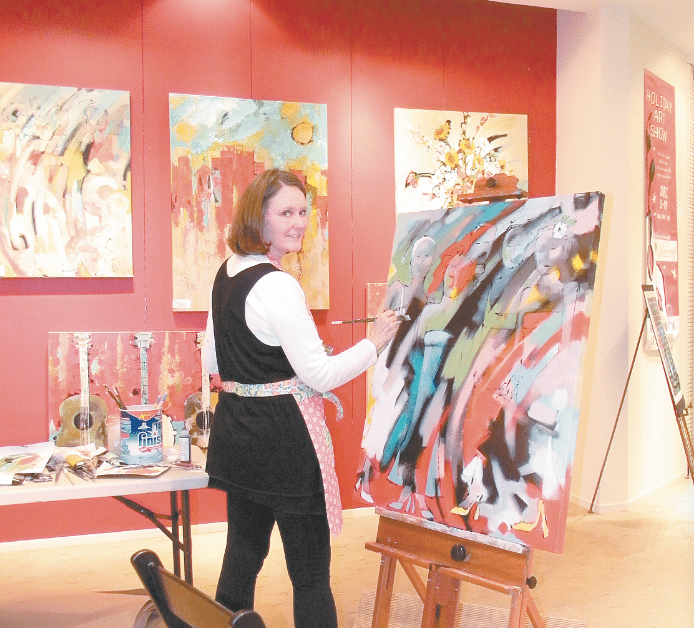 This year, the Mountain Brook Art Association is moving its annual Holiday Show to a new location. The art showcase and sale will be Dec. 1-17 at The Summit in the space to the left of Bed, Bath and Beyond, formerly the location of Coconuts. The free event will feature more than 75 local artists selling hand-painted ornaments and paintings of all sizes and prices. In addition, members of the association will participate in daily art demonstrations covering a range of skills and topics. A portion of all sales will benefit the event’s partnering charity, Hand in Paw Animal Assisted Therapy. Show hours will be Monday-Saturday from 11 a.m. to 8 p.m. and Sundays from noon until 6 p.m.
For more information and updates, visit mountainbrookartassociation.com. Twelve artists will be showcasing artwork in a wide range of mediums at Aldridge Gardens’ second annual Gifts of Art showcase. The event will be Dec. 7 at The House at Aldridge Gardens and will include Alabama-inspired items that organization officials say are perfect for gift-giving. Dollar specializes in metal jewelry and her “Tree of Life” designs. Barbara Dollar of Hoover participated in the inaugural show last year and is returning with handcrafted jewelry. 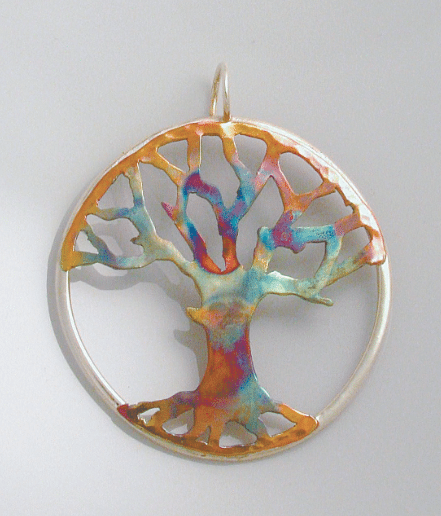 Many of Dollar’s pieces feature her signature tree designs. “I am greatly inspired by the natural beauty that surrounds me living in rural Alabama,” she said. 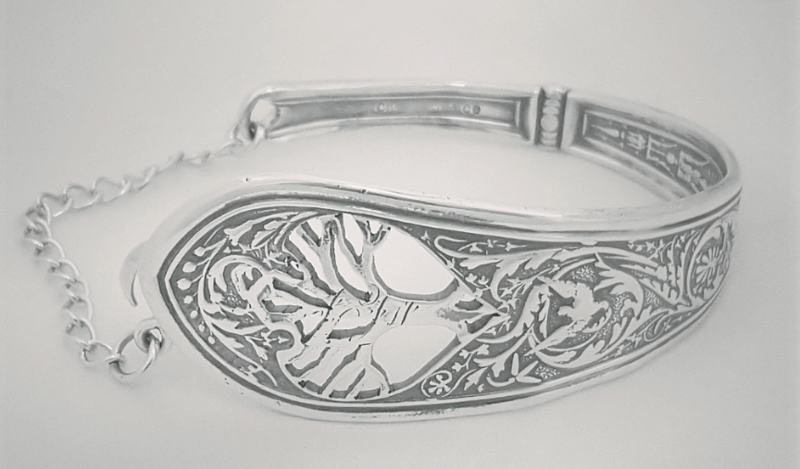 Dollar said she always has loved trees and started out making leaf jewelry, but her favored tree designs were inspired by research into her family’s history. About a decade into studying her own family tree, she connected with a cousin who lived in Israel, who in turn helped reunite her with two of her mother’s first cousins. When the oldest passed away, Dollar said she was struck with the inspiration to create fused tree earrings, which she named Edgar’s Trees. “The annual Spring Aldridge Gardens art show is actually where I showcased my tree jewelry for the first time in 2012,” Dollar said. Dollar also upcycles vintage pieces, including sterling silver spoons. Dollar’s tree designs have since evolved. In addition to creating jewelry from forged precious metals, she often upcycles vintage pieces such as sterling silver spoons into rings, bracelets and pendants. Dollar will be joined in the showcase by fellow artists spanning a wide variety of mediums, including Dan Browning, wood; Heather Hepp, glass; Julie Jackson, jewelry; Patricia Koski, recycled glass; Tracy Leventry, ceramics; Karen Libecap, miniature paintings; Robin Metz, multimedia; Cindy Phillips, ceramics; Joanna Sanders, earthwear; Nancy Walton, fabric; and Ajene Williams, iron. The free indoor show will be from 10 a.m. until 7 p.m. in The House at Aldridge Gardens.